1.1 What Is A Hair Mask? 1.2 How Do You Know You Need One? 1.3 How Often Should You Use A Hair Mask? This article is for all of us who sometimes have a bad hair day one day too many! In this 10 Best Hair Masks For Dry Damaged Hair 2018 list, you should be able to find at least one hair mask to help restore your stressed tresses back to life. Let’s take a look! A hair mask is another way of doing a deep conditioning treatment on your hair. In my opinion, the only major difference between doing a hair mask and doing a deep conditioning process is the viscosity of the product. A hair mask tends to be very thick – like a paste, while a deep conditioner tends to be a little bit more fluid – like yoghurt consistency. But one thing to be very sure – they are very good for your hair health! A hair mask is packed with hydrating, moisturizing and rejuvenating ingredients. Butters and oils such as shea, coconut oil, argan oil, olive oil, and avocado oil can help to nourish your hair and increase the shine. Then there are other botanical extracts like green tea which is effective in making your strands stronger, coconut milk which is very hydrating, and honey which is moisturizing and healing, to name a few. This is a question that might cross your mind at some point or other in your hair journey – how do you know if you need a hair mask? For myself, I do a hair mask/deep conditioning process every week. It is just my way of maintaining the health of my hair on all counts. Thankfully, I have no major issues and I think this comes from the consistent awareness of my hair’s state. It is important to take the time to nurture your hair. Once you have a hair regimen and follow it, it makes caring for your hair much easier (I find). The hardest thing is making the regimen. You need to make some time to determine what you want for your hair in terms of hair health. My constant attention goes to moisture. There are times my hair seems more’ thirsty’ than some and so I work on that issue. It takes determination and perseverance. I focus on the outcome that I desire – healthy hair that looks and feels good. I am sure this 10 Best Hair Masks For Dry Damaged Hair 2018 guide should help you choose a good mask for your hair. And these are just a few of the more common types. The most important thing is to know what your hair issue is and then to find a hair mask that (with consistent use) helps to fix the issue. One thing you will notice on this 10 Best Hair Masks For Dry Damaged Hair 2018 list is that there are various types of masks addressing these issues. If you are not in the habit of using a hair mask, you should try it out. Your hair will love the extra care and nourishment. Start off with a mask treatment once every week and notice the difference in your hair. Then decide to incorporate it into your hair regimen on a regular basis or as needed. Have a look at this 10 Best Hair Masks For Dry Damaged Hair 2018 list and I am sure you will find one to start trying! The Arvazallia brand of hair products delivers nourishment and health to your hair when it needs it most. It is a professional product that can be used just as effectively in the confines of your home. To get the best from this mask, you have to make the commitment to use it at least once a week for a few weeks to see the full effects. It will be worth the time and commitment to your hair health. I am so confident that this mask should do wonders for your hair and deserves to be on the 10 Best Hair Masks For Dry Damaged Hair 2018 list. 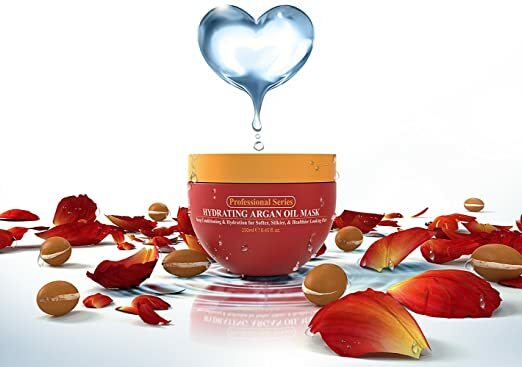 argan oil – helps to hydrate and moisturize, improve shine, strengthens your hair. organic jojoba oil – makes hair soft, and helps to moisturize. aloe vera – helps the pH balance of your hair and makes it soft and manageable. keratin – strengthens your hair. green tea – known to strengthen the hair follicle, is an antioxidant, and it helps to fight the free radicals that can damage hair follicles. It also helps to protect color. sage extract – improves circulation and stimulates your scalp, it helps to reduce hair loss and revitalize your hair. ivy extract – has natural “flavonoids” which protect your hair, and it helps to relieve the discomfort and irritation of psoriasis, dandruff, and eczema. oats and quinoa proteins – helps to strengthen the hair follicles. silk amino acids – helps to strengthen and make the hair silky. ArtNaturals products are formulated with 100% natural ingredients, paraben, and cruelty-free. 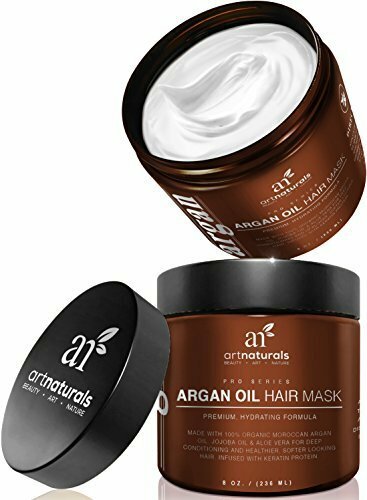 There was no hesitation on my part to add this ArtNaturals hair mask to this 10 Best Hair Masks For Dry Damaged Hair 2018 guide. I have been using Nexxus products for years and I find that they deliver! 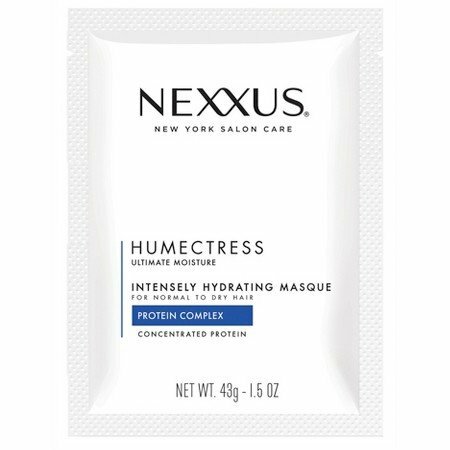 This mask can be used synergistically with other brand products like Nexxus Humectress Luxe Lightweight Conditioning Mist or Humectress Encapsulate Serum to lock in moisture and further encourage shine, smoothness, and manageability. 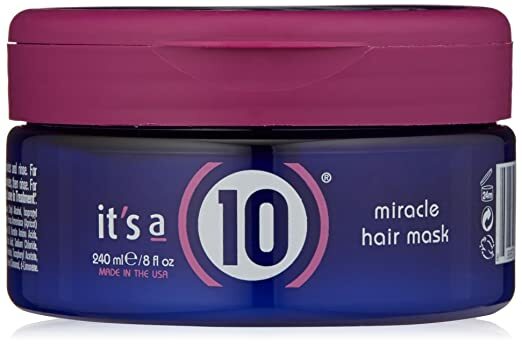 It’s a 10 Haircare brand is an established, professional hair care line which offers hair products worldwide and their main focus is on having its products provide that 10-in-1 multi-purpose experience of using only one product. And not only that, but the range of ingredients gives it a meritable place on this 10 Best Hair Masks For Dry Damaged Hair 2018 guide. linseed oil – strengthens, nourishes, and adds shine to your hair. It also encourages hair growth. almond oil – smooths and promotes softness. oat extract – strengthens and smooths hair follicles. apricot extract – softens and strengthens hair in addition to having antioxidant and anti-inflammatory properties, minerals and vitamins E, C, K, and niacin. Your hair will benefit from the combination of these ingredients as they work together to make your hair better as a result. 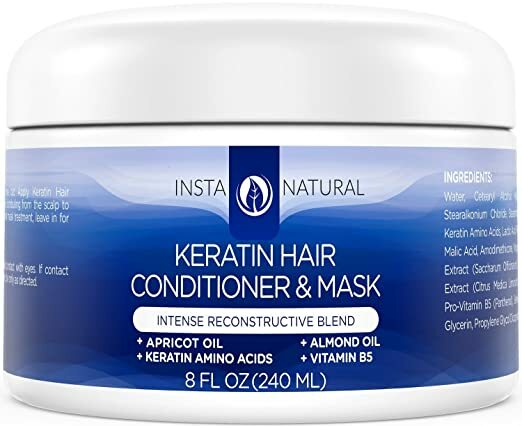 InstaNatural hair brand also offers a money back – no questions asked guarantee which also shows the confidence the brand has in their product. In my opinion, with well-known botanical extracts and oils such as Argan Oil, Coconut Oil, and Shea Butter, you know that your hair will be getting the nourishment needed to make a difference. Using this hair mask without a doubt will guarantee some change in the way your hair feels and looks. Argan oil is just ‘chock full of goodness’ that even using it once will produce some change in your hair. I love coconut oil. There are so many benefits of using coconut oil. You can use it from head to toe! Read more in an article I wrote about 10 Top Uses For Coconut Oil, HERE. helps to strengthen, nourish, and protect your hair. Not only is this mask enriched with the natural nutritional benefits of coconut oil, but also the other botanical oils and extracts that help to make you see a difference in only one application. Consistent use is required to reap the full benefits of the product. 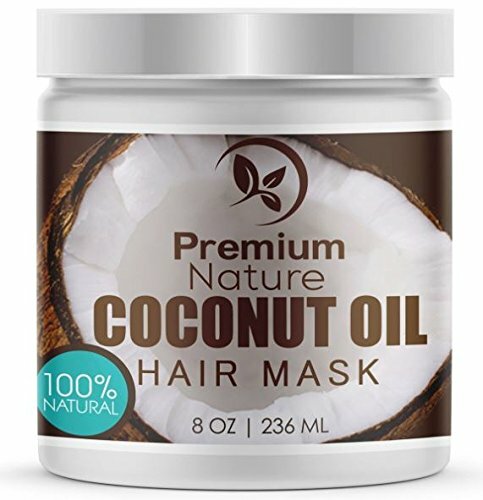 I especially like this mask because of the coconut oil and could not resist putting it on this 10 Best Hair Masks For Dry Damaged Hair 2018 list. A relatively new product but based on the feedback so far, it seems to be heading in the right direction for past users. 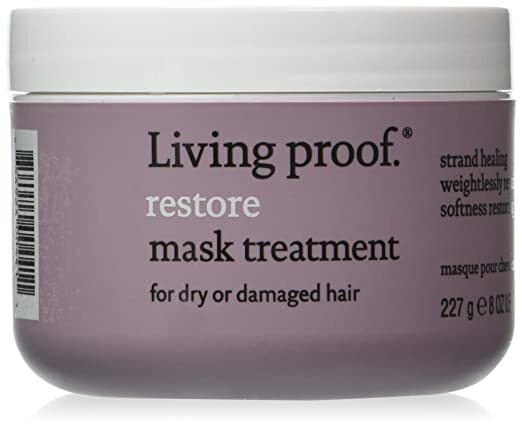 I think it is a good addition to this 10 Best Hair Masks For Dry Damaged Hair 2018 guide. restore moisture, shine, and softness to your hair. strengthen and encourage hair growth. makes hair manageable and reduces tangles and split ends. rejuvenate your hair from over-exposure to heat, color, and styling products. coconut oil – one of the best natural oils which hydrates, moisturizes and nourishes your scalp and hair delivering shine, softness, and hair growth. 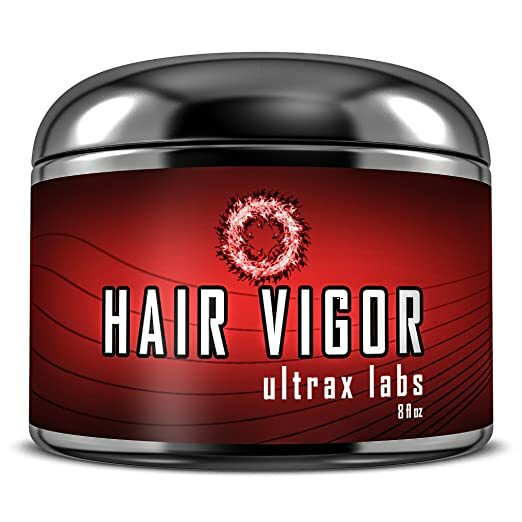 Ultrax Labs Hair Vigor Caffeine Hair Growth Stimulating Hair Mask is a heavy-duty conditioning mask which utilizes 10+ hair boosting ingredients to make your hair see and feel results after just one use. It helps to hydrate the scalp and moisturize the hair, thereby helping the hair to stay elastic, supple, and maintain its length as it grows. The botanical oils and extracts all work synergistically to bring out the best hair health. Caffeine – known to stimulate the hair follicles and promote healthy hair growth. Aloe Vera Gel Juice – well-know to help balance the pH of the scalp and hair, as well as soothing the scalp. 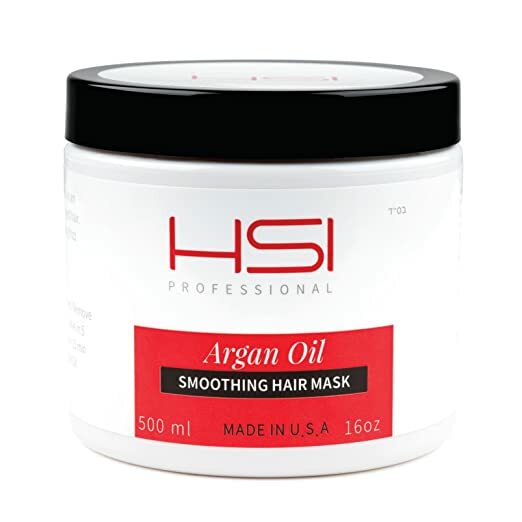 Argan Oil – helps with moisturizing the hair and promoting hair growth. Sunflower Seed Oil – this oil contains gamma linolenic acid (an omega-6 fatty acid) which is emollient for your hair and will make it smooth and soft. Macadamia Nut Oil – enriched with fatty acids which are good for the hair and skin. It helps to make your hair shiny, strong, and also reduces hair loss, frizz, tangles, and brittle hair. Sesame Seed Oil – a great growth oil for your hair. It has Vitamin E, B complex, and minerals such as magnesium, calcium, phosphorus, and protein that strengthens and nourishes your hair. Having dry and/or damaged hair is no fun for anyone – male or female. It is nice to now that there are options available to help solve this possible hair issue by looking at this 10 Best Hair Masks For Dry Damaged Hair 2018 list. Like anything else, you have to try a few masks in order to see which works best with your hair and then make it a staple in your hair regimen. It is best to start off with a small bottle and then work your way up to the ‘big guns’. I hope this 10 Best Hair Masks For Dry Damaged Hair 2018 list has provided some useful information and I would love your feedback. Thanks for stopping by. Yes, it is so very important to keep our glorious locks greatly moisturized – it is the only way to ensure longevity. Too dry hair results in breakage and splitting – two issues you really don’t need if you can prevent them, And my mother always said – prevention is better than cure! Glad the article offered some choices for you. Stop by anytime. You may ask why I dropped by your website, yes, I’m a man not a woman. But I’m interested in your article about Hair Mask and it ability to keep the hair moisturized, hydrated, soft and smooth. Well, my wife is someone who really cares about her hair, so whenever, I come across something about beauty for women that I think will be useful, I try to look into it and see how I can show my love for her. I have bookmarked this post and I will show her about your article when I get home from work, so she can also read and get some tips from it. Thanks for visiting. My ‘door’ is always open to visitors – male or female! Quite frankly, for anyone – man, woman, or child – whoever has hair on their head (and sometimes those without as well, you have to treat your scalp as well). I am glad that you care about your wife and her hair health – you are a ‘good man as I am sure she already knows! I hope the tips will help her and you. Be sure to visit as your time permits because I have new articles all the time.